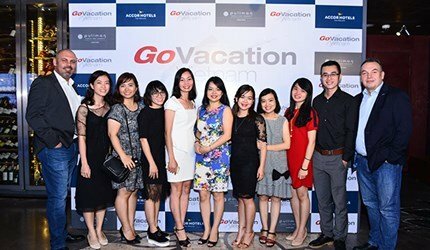 Victoria Can Tho Resort will be celebrating its 20th anniversary on October 15th, 2018 with a special event attended by media, travel agents, and invited guests. Set amidst 8,000 sqm of magnificent gardens on the banks of the Hau River, the 92-room Victoria Can Tho Resort is a quiet retreat blending Indochinese-inspired architecture with the natural beauty of the river. 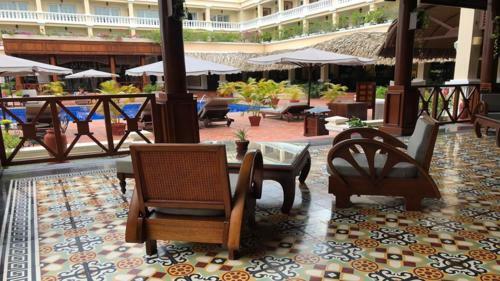 Victoria Hotels & Resorts connects guests with the real Indochina in ways no other hotel can. Our boutique properties embrace the best aspects of Indochinese heritage while showcasing local culture and landscape. We are dedicated to helping our guests along their Journeys of Distinction through heartfelt service, pride in our culture, and generosity of spirit. Victoria properties are located in Vietnam (Sapa, Hoi An, Phan Thiet, Can Tho, Chau Doc, Nui Sam) and Laos (Luang Prabang). Even beyond the boundaries of our hotels, we seek to bring the magic of Indochina alive by creating opportunities for guests to truly experience our destinations and meet local people. We use vintage vehicles, traditional sampans and rice barges, bicycles, motorcycle sidecars and even our own Pullman-style train carriages to transport our guests in style. 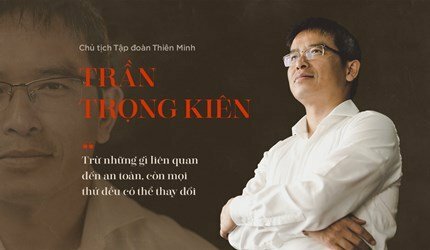 The Victoria Express Train links Hanoi to Lao Cai, Sapa and Victoria also operates a boutique coach between Hanoi and Halong Bay in Northern Vietnam. 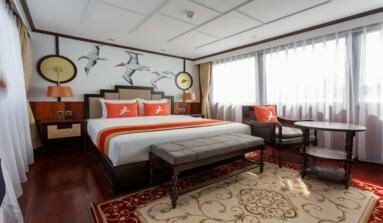 Victoria Cruises offers day trips aboard converted rice barges and 1-3 night sampan cruises throughout the Mekong Delta, visiting places like charming Sa Dec, the setting of “The Lover” in Marguerite Duras’ celebrated novel, and Rach Gia, the gateway to the island of Phu Quoc. The cruises also provide opportunities for shore excursions, visiting small cottage industries, historical sites and quaint restaurants. Please visit www.victoriahotels.asia for further information.